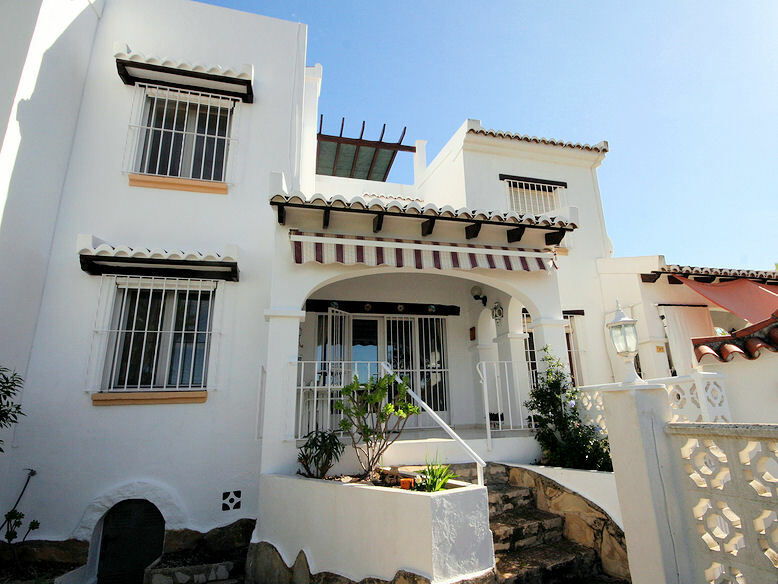 Bungalow for sale in Moraira. 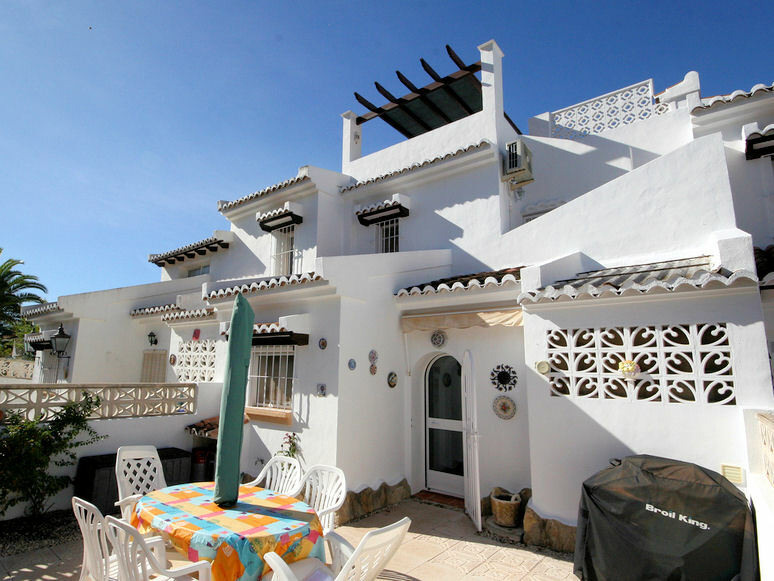 A very attractive, superbly maintained, two bedroom, two bathroom, two storey, terraced villa with a dining room in a quiet cul de sac and within sight of the community swimming pool at Paichi, Moraira. 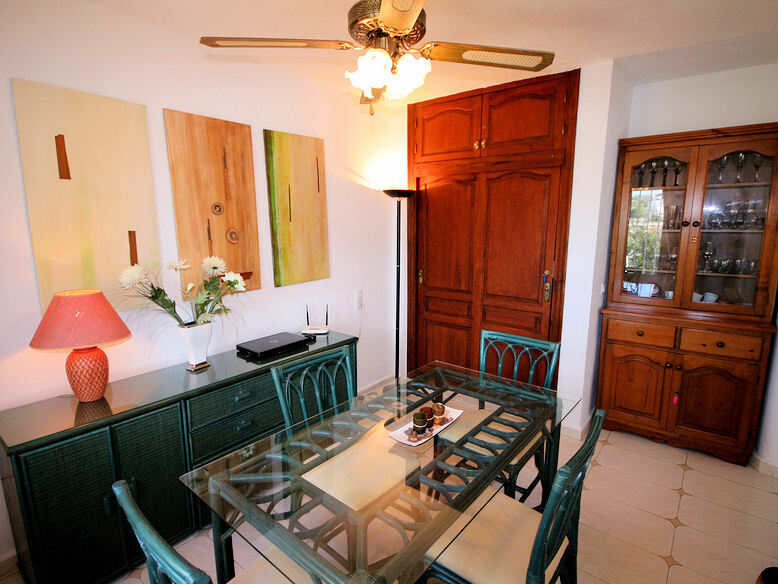 The property was designed as a three bedroom villa but the first owners opted for a dining room in what would have been the third bedroom on the ground floor. 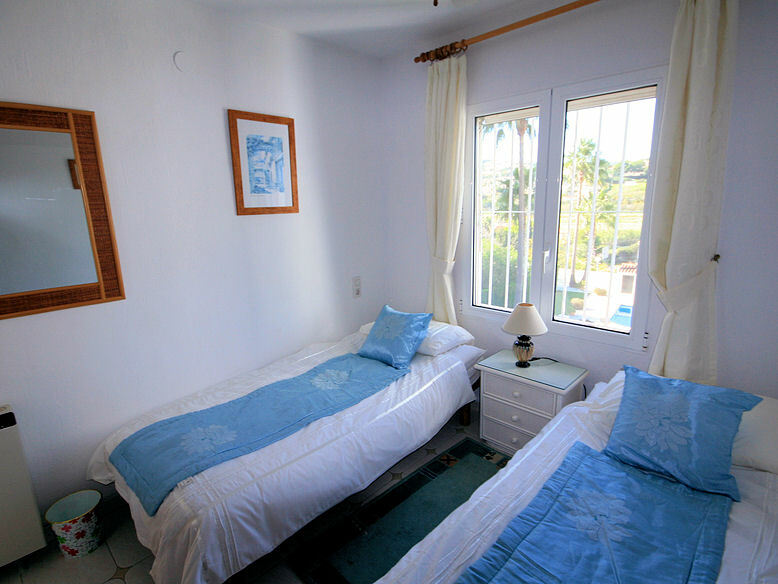 The third bedroom could easily be re-instated. 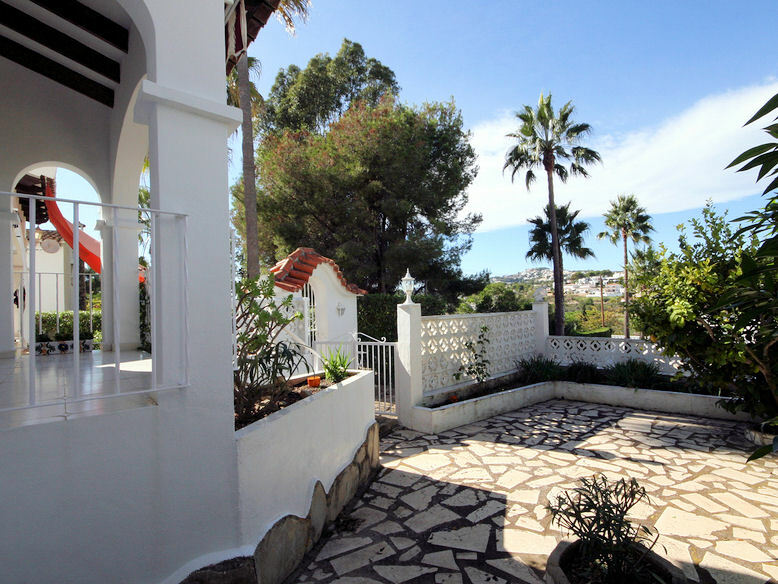 The villa is in a short terrace of five villas and is within a short walk of amenities and a short level walk to Moraira village. 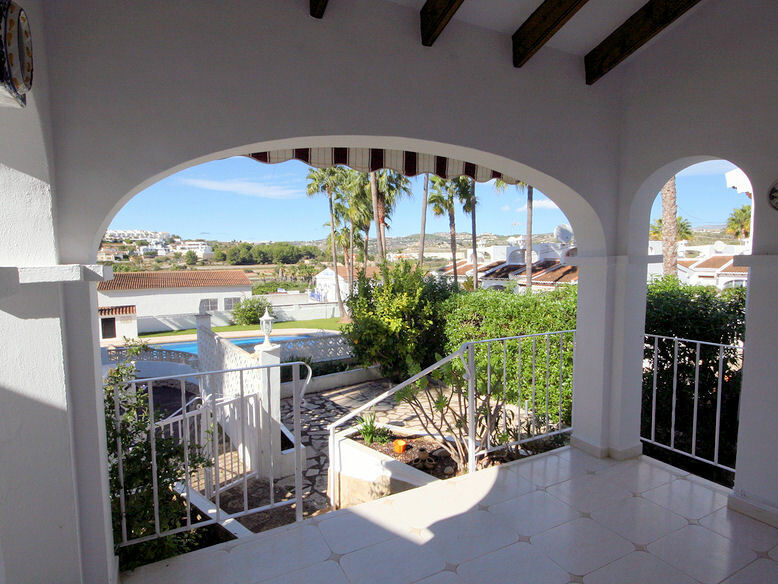 A few steps up to the front garden and to the open naya with lovely country views. The ground floor has three wide arches with pillars to one side. The first leads into the dining room, the second to the shower room and the third to a lovely feature staircase to the upper floor. A fourth narrower arch leads to the utility room, the kitchen and to the rear courtyard garden with morning sun. 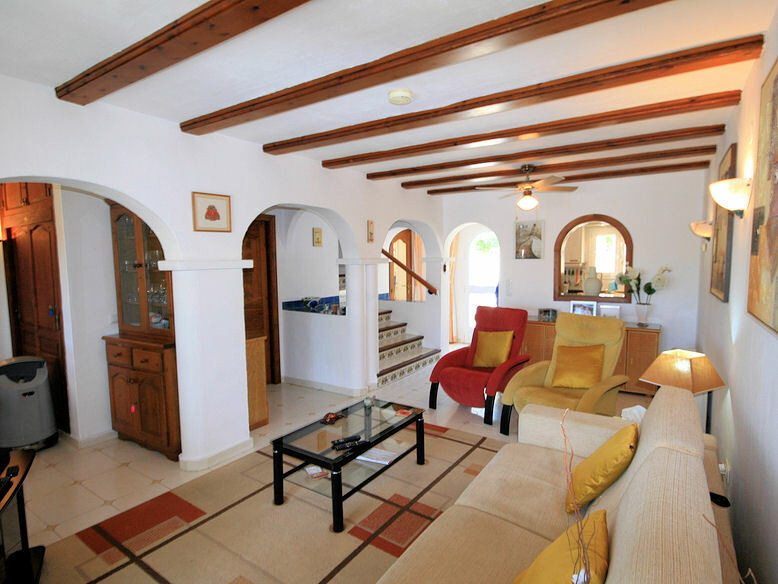 The kitchen is fully fitted and with a large arched serving hatch to the living room. 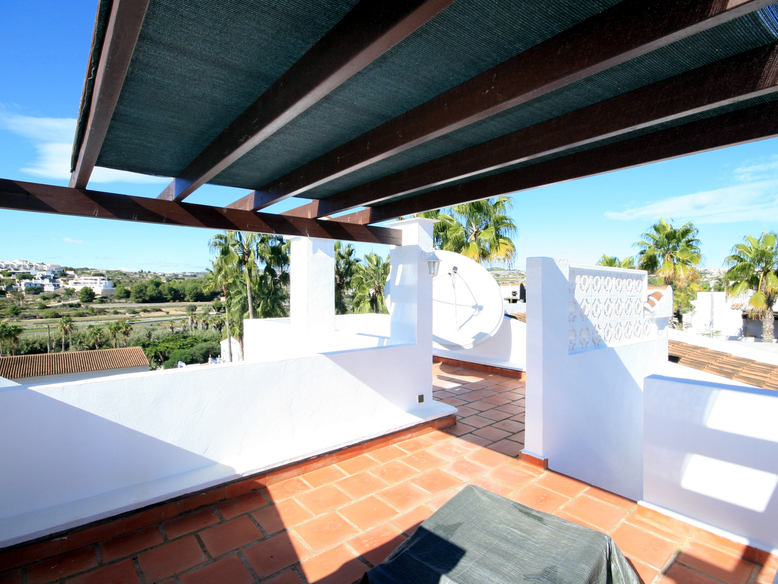 There is a large roof terrace with all day sun accessed via an external staircase from the courtyard. 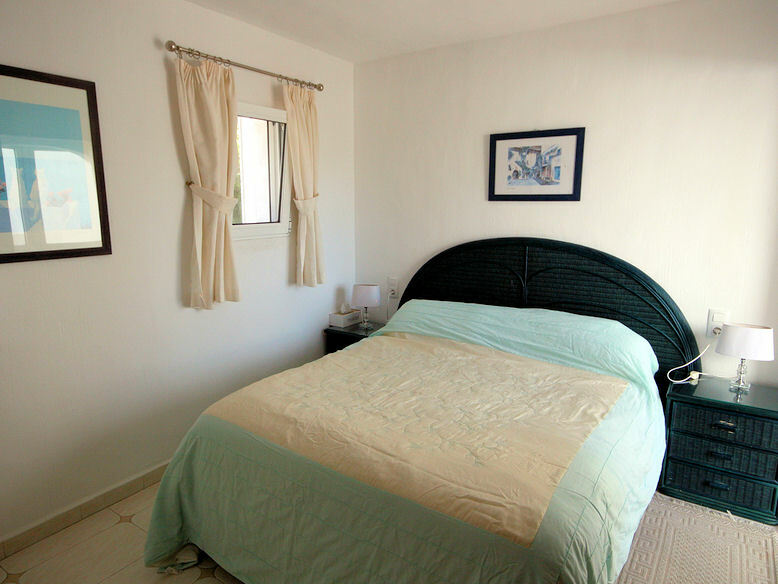 The first floor comprises two double bedrooms with fitted wardrobes, one with double doors on to a private west facing sun terrace and the second bathroom with a bath. 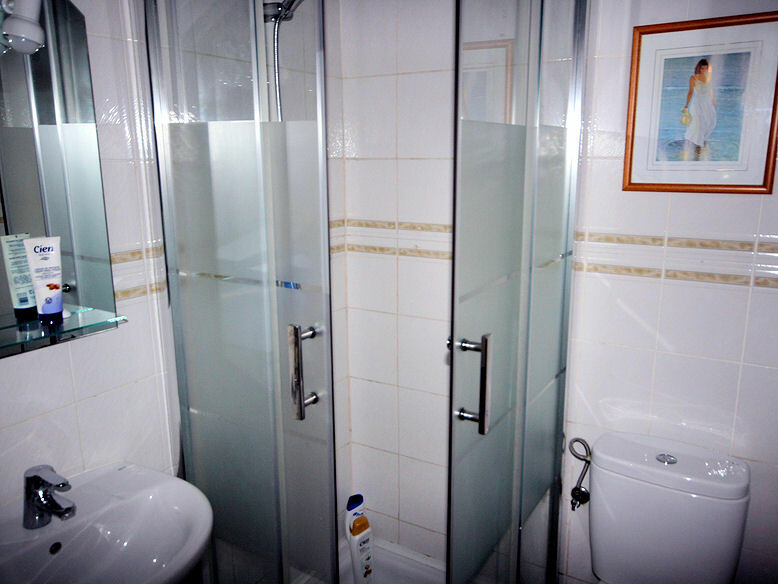 Double glazing, night storage electric heating and air conditioning in one bedroom. Private parking at both ends of the terrace. 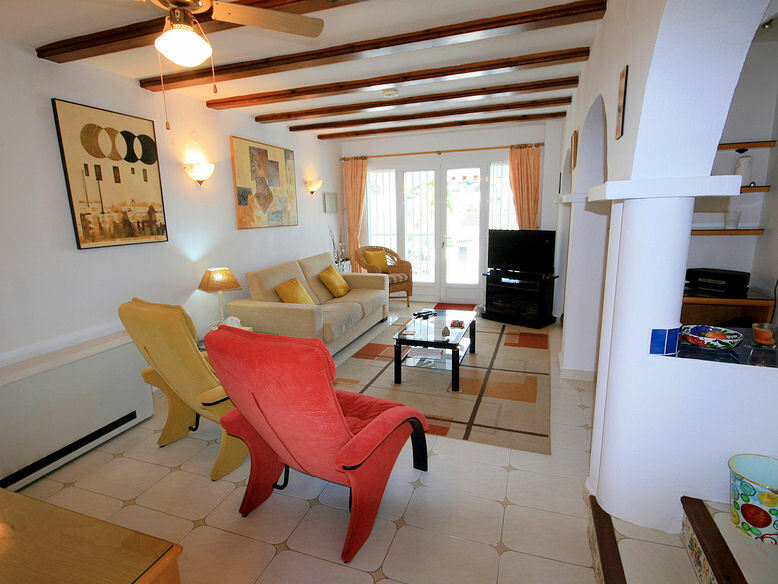 This delightful villa is being sold with all of the high quality furniture and general contents as per the inventory.